For our experience with Emil Kiriakos, we are so glad and completely satisfied that Mr.Kiriakos gave us a clear picture of what the possible benefits we will obtain. He was diligent and with us step by step and provides a lots of facilities. Overall, Emil Kiriakos is a person who can trust, he is honest with human values. I believe that trust and transparency as being critical in ensuring a good working relationship. We really appreciate his work with us. Thank you so much for your kind words. Emil deserves to be recognized he is a great realtor and try's his best in-looking out for the interests of his clients, colleagues and the brokerage. I am so glad you took the time to acknowledge his hard work and professionalism. This is a long-overdue thank you for all of your hard and relentless work in helping us find the right house in the fiercely competitive Toronto real estate market, and also quickly sell our condo at a very good price. Your agreeing to put in our offer to purchase very late in the evening likely made the purchase of our semi a reality. You have been incredibly gracious to us throughout the entire process, and I am grateful for your kindness, understanding, patience and expertise. Thank you! I especially want to commend you for your excellent service during the sale of our condo. You went the extra mile to make this deal happen. Your tenacity as our advocate was truly a blessing and a comfort to me personally. Thank you so much Emil. You are a bright light in this harsh world, and I am grateful to know you. You are indeed a true professional, who goes "above and beyond" in order to ensure a pleasant and successful real estate experience. In the end you made me feel special--more than just a client, and much more like a friend. This letter is to recommend Emil Kiriakos as your realtor. The service we received from Emil was exceptional! We could not have asked for a better realtor to guide us through the process. Emil's experience and patience served us very well. Emil is a true professional and he is in a class by himself. Emil has an uncanny "grasp" of the market and possesses that intuitive feeling as to what a house is really worth and how well it will sell. He is absolutely honest and up-front in his dealings, and gave us useful advice to facilitate our sale, as well as sharing pertinent information about the properties we were looking to purchase. 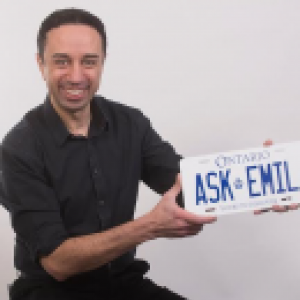 Emil has that perfect balance of knowledge, drive and enthusiasm that will get your house sold, and help you find a new home. I just want to take a minunte and thank you for all the wonderful service you have provided for us. You took the time to drop off our deposit check to Innisfil, Ontario exceeding our expectation from your exceptional service. Thank you for all the service you provide and for being honest and a genuine Realtor. It is my great pleasure to write this message of recommendation for Mr. Kiriakos. I have had the pleasure of viewing his professional attitude and extensive experience of the Canadian market, and I can state with confidence that he is a motivated and responsible person with a high degree of integrity. As such, I expect not only that he will be a very positive addition to your business / investment, but also he will be very keen to do his job in a way that meet and exceed your expectations. I just wanted to send a quick email regarding Emil Kiriakos and my appreciation for the service he provided in my real estate search, going over and above the call every time. I live in the US on a temporary assignment in Canada so Emil was patient enough to sit down with me and explain the Canadian market. Emil was able to introduce me to a lawyer, accountant and mortgage broker all of which have been utilized and have been of great value and assistance. Emil demonstrates sound technical knowledge and great understanding of working within the Canadian market and the required protocols. He responds to requests in a timely manner, is a good team player and I welcome the opportunity to continue working with him and on other future investment initiatives. YOU DID AMAZING FOR US! WE ALL LOVE YOU! You actually now encouraged me to look for another property soooooon! We would like to take this moment to express our sincere gratitude for your exceptional efforts, your time and your outstanding services. Since you started working for us you were restless until you found us our beautiful home. Thanks for your patience listening to our challenging requirements and striving to meet them with excellence. Winning our home was like hunting for a beautiful colored fish deep in the ocean and i do mean it when considering nowadays real estate market with such a very high demand. Because of your excellent representation infront of the seller we won our house beating other offers which were financially way better than ours. Thank you as well for helping us out through all closing processes and not saving any effort to guide us through the right channels. We wish you all the best in your career and always from success to success. 5 star service, highly recommended. Emil Kiriakos has made the purchasing and later the renting out our home a seemless experience. Always going above and beyond for us he knew exactly what we wanted and got it done perfectly, all the while making it as enjoyable and stress free as possible. Always making himself available day or night, Emil is very professional, dedicated, knowledgeable and a great asset for making our dreams come true. Very happy to have had him represent us.